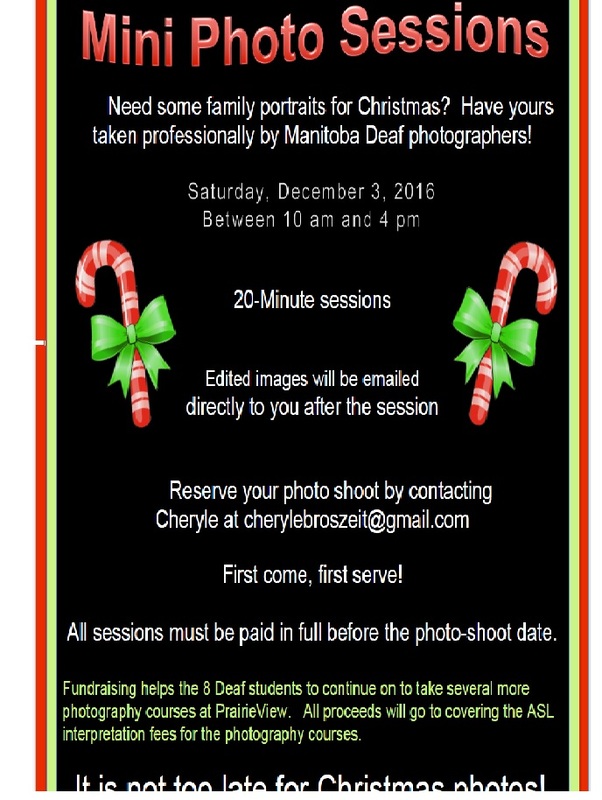 Deaf Centre Manitoba Inc.: Deadline to sign up for Christmas Photo Session- By November 20th!! Deadline to sign up for Christmas Photo Session- By November 20th!! Christmas Photo Sessions are filling up! Hurry up before it is too late for you to have photo session! !